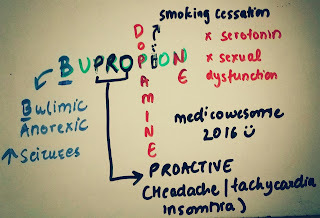 Mechanism of action: Inhibits reuptake of NE and dopamine. Antidepressant without sexual side effects. May help alleviate sexual dysfunction. 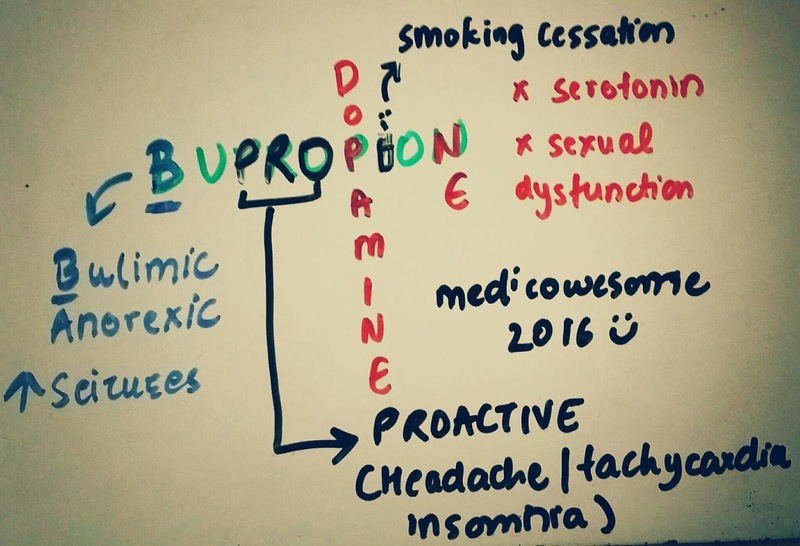 B - Bupropion is the only antidepressant linked to weight loss. Avoided in bulimic / anorexic patients. I - Used for smoking cessation. PRO - Proactive. Stimulant side effects - Headache, tachycardia, insomnia. I've been having so much trouble remembering this drug no matter how often I read it.Now this sure will help me remember!! Thanks!! !